“Client Relations Director” isn’t an uncommon title in the field of legal marketing, but the way some law firms are using these professionals is quite innovative. Michael Janovici, Client Relations Director at Kimball, Tirey & St. John, LLP, is a great example of this. He joined the Law Firm Marketing Catalyst Podcast to discuss how his role serves as a “boots-on-the-ground” advocate and liaison, bringing in new business for the law firm. Michael shared seven strengths that potential candidates in this role should exemplify. It’s not necessary that a candidate for the Client Relations Director position be an attorney. In fact, they don’t need to be especially versed in the legal industry. However, they should have significant experience in business development (i.e., building relationships) or have worked in a closely-associated field. For example, real estate law firms may choose to consider candidates with extensive experience in property management, construction, development, etc. For his part, Michael supports 14 different attorneys at his firm’s Los Angeles office. Fortunately, he explains that every attorney he works with should all have a genuine desire to grow the firm. Michael is one of five Client Relations Directors, as each location has its own Client Relations Director. In his role, he works not only with the attorneys and staff in his firm, but also with the Client Relations Directors at other locations. “It’s important that not only the attorneys, but also all staff, understand that every interaction with clients is important to make sure they have a positive experience,” he says. To that end, it’s vital that a candidate for Client Relations Director at a firm be able to work well with others. In addition to generating new business, Michael maintains relationships and ensures that the experience prospective clients have — at all stages of the relationship — exceeds their expectations. Potential Client Relations Directors should be able to demonstrate a proven track record of providing stellar customer service. Exceptional communication skills are obviously necessary in order to attract new business and to communicate clearly with the attorneys in the firm. As a “promise keeper” to the clients, Michael is responsible for keeping partners and associates abreast of communications with the client in order to ensure that each relationship stays on track to yield new business. From a professional phone demeanor to being able to write well-crafted emails, a candidate for this role will be representing the law firm during every interaction. It’s important that prospective candidates hold themselves to the highest professional standards. The best way to ruin a potential business relationship — before it has time to flourish — is by taking too long to respond to emails, answer questions or follow up after a meeting. Client Relations Directors must think one step ahead and anticipate client needs. Client Relations Directors who are charged with bringing in new business will have to be comfortable networking and meeting new people. Attendance at industry events or trade association meetings is part of the job, and firms looking to hire a Client Relations Director should hone in on candidates who are comfortable with this. 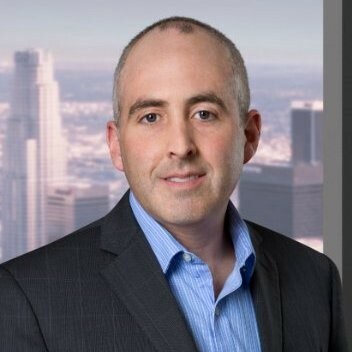 For more on Michael’s unique position, including tips for how law firms can maximize a Client Relations Director’s potential impact on business development, be sure to listen and subscribe to the Law Firm Marketing Catalyst Podcast by clicking here.